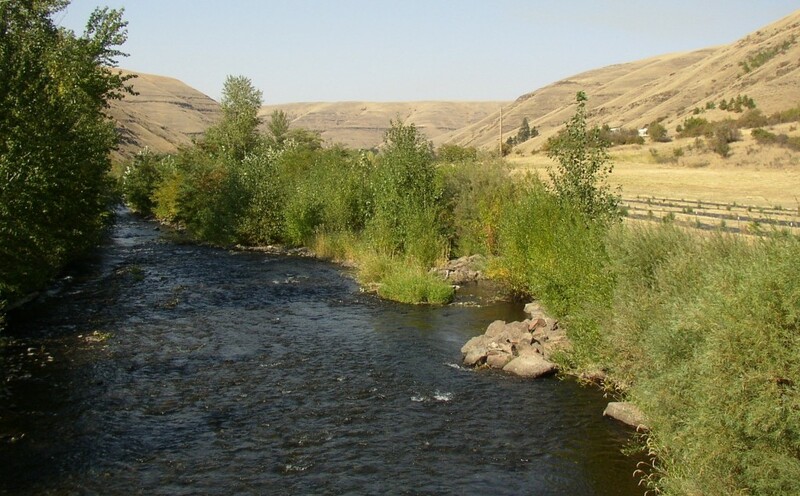 The Tucannon river is well known for Brown trout and Steelhead. Lots of fish in this river and best of all there isn’t to much competition for them. The mouth of the river originates at the confluence with the Snake river and can be fished all the way up past the hatchery. Most anglers fish just below the hatchery for the healthy runs of Steelhead that come up the river every year. The Tucannon river is open to Steelhead fishing pretty much year round, The season begins in June and runs until the end of March. This fishery generally allows 3 hatchery Steelhead per day, no minimum size. Top Recommendation for this location is fly fishing or drifting a jig under a bobber, or eggs. next possibly next a corky and yarn or beads and spinners. No mans land. Eye protection still recommended!